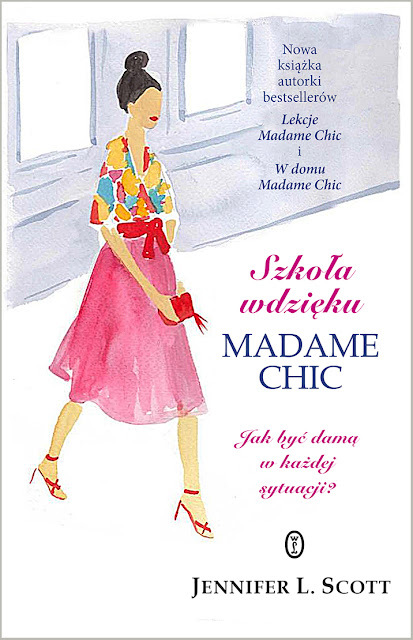 We continue exploring the concepts of etiquette, poise and deportment that I write about in Polish Your Poise with Madame Chic, with today's discussion on bad language in public. In today's video, I share four examples from my everyday life, including an etiquette horror story from Geoffrey's. Oftentimes readers ask me why I bother to talk about these personal experiences, and why I don't just ignore them. I write about them because one of the main endeavors of The Daily Connoisseur blog and Madame Chic books is to help us to live beautiful, elegant lives. In today's modern life, it's an etiquette minefield out there! I like to bring up specific examples from my everyday life because I feel they are more helpful than generic generalizations. These real-life examples help to illustrate my point. Jessica M. White shares her book picks for May, 2016 and Madame Chic made the list! I enjoyed reading this article on Bridgette Raes' blog called 5 Secrets of a Well Dressed Woman. This Thursday, I will be running a giveaway for the new Simon & Schuster novel, Amy Snow. I am reading this book now and it is so good. 5 winners will be chosen so be sure to stop by and enter! Hi Jennifer! Love all your books, videos and blogs! One thing I especially love is the listening to classical music in the afternoon! It really helps me transition to the evening . . . wouldn't have thought of doing that on my own!!! Also, your advice regarding going with the flow of the day . . . that helps so much! 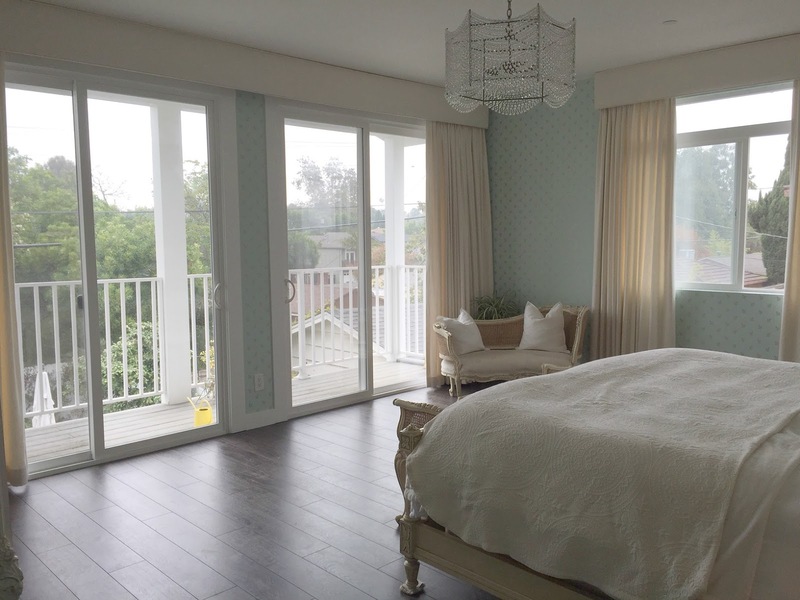 Your wall paper in both bedrooms is beautiful! Stay well and we are all looking forward to hearing the baby news soon. Dear Susan, Thank you! I am so happy you discovered the joy of classical music through my books and blog. It is one of the very true pleasures I indulge in almost every day. I hope it continues to bring happiness to your everyday life. Thank you for your insights! If you have time, I need some outfit suggestions for a week long trip to Disney World. I see you wearing cute ballet flats and flat sandals for activities with your girls, but my feet do not hold up wearing those. If you had to wear shorts and sneakers (I blister horribly from sandals when walking long distances) to a theme park, how would you make it look put together and feminine on top? I was thinking sleeveless polos and cute cardigans, but I'm lost. Shorts/sneakers are not my usual staples, but Disney is a whole other world. Thanks! Hi J, great question! You can still look chic and be comfortable for your Disney World trip. If you would like to wear shorts and sneakers, no problem! You can wear a nice tee shirt or blouse, and pair a cardigan or light sweater with it. You can tie the sweater around your shoulders if it becomes hot, or wear it if you get cold. I would definitely suggest wearing a hat with a larger brim to protect yourself from the sun. When I go to Disneyland with my children, I usually wear jeans, a striped tee shirt, my Nike tennis shoes and a hat with sunglasses (see my photo below). It's important to look after your feet when you are standing on them all day. Have a wonderful trip! This week I would love to know... what are your thoughts on this week's etiquette discussion? Are you noticing more bad language being used in public places? Have your children been subjected to it? How do you handle it? Let me know and your comment could be chosen as comment of the week on the blog! See you on Thursday for a special book giveaway for the new novel, Amy Snow. Chat with me in today's video where I share a sneak peak into my daughters' bedroom wallpaper renovation. Thank you for your kind compliments about the paper we chose for our own master bedroom. I love it more and more each day. It's such a great feeling when your interior design efforts are successful (as I've had my fair share of failures in the past!). For our daughter's bedroom, I wanted something sweet and floral (because they both love flowers so much). We chose from Norwall's Pretty Prints 4 book. 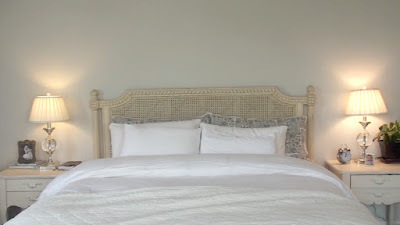 Their bedroom is not complete as I am still waiting on the curtains and beds to go in, so I am not ready to share pictures yet (although you will see some in today's video). I'll be sure to share an update with you once their room is complete. Pre-order the Madame Chic Collection boxed set from Amazon or Barnes & Noble. The set comes out November 1, 2016 and will make a wonderful present for the holidays. Her Luxurious Africa reviews Lessons from Madame Chic and shares her top 5 lessons from the book. 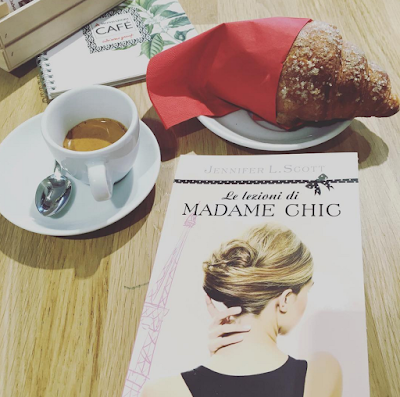 Life With Dee reviews Lessons from Madame Chic, and shares her favorite takeaways from each chapter. Modern Mrs. Darcy tries out the ten-item wardrobe. This is an older post, but one worth checking out. Thank you for all of your wonderful books. I just wanted to tell you how much At Home With Madam Chic has helped me improve my days. The breakdown of Morning, Afternoon, and Evening has encouraged me to look at my day as different occasions to enjoy simple pleasures that enhance and add to the day. I usually have the highest stress midday and used to dread the afternoon but now I look forward to a cup of tea and some sort of de-stressing activities. You are such an inspiration, I can't tell you how glad I am to have read your books they are changing my life. 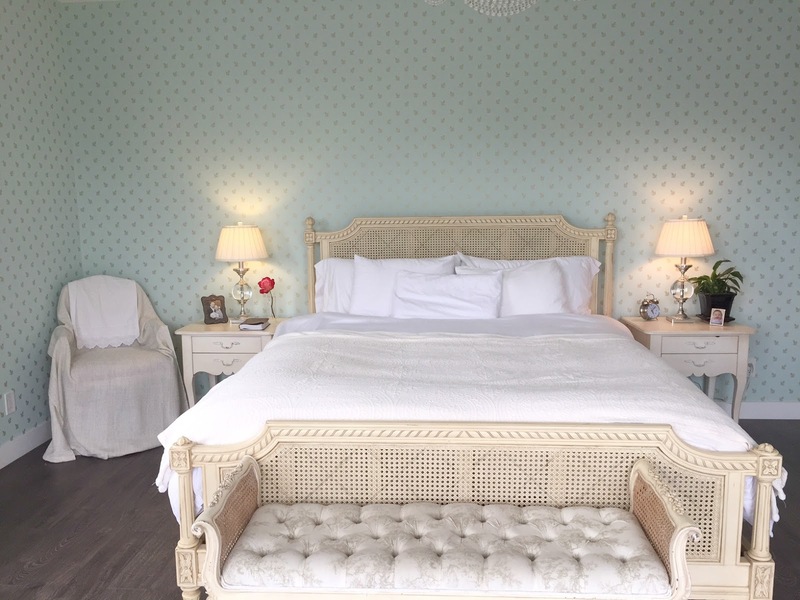 I love the wallpaper, your room reminds me of the Granthams' room in Downton Abbey. Thank you again! Dear Valerie, Thank you for your testimonial. One of my favorite concepts from At Home with Madame Chic is the breakdown of the morning, afternoon and evening, and how it is wonderful to transition into the different parts of the day with renewed hope. Thank you for sharing your story! This week I would love to know... How did you decorate your child's room? What is your child's style? What is your best marriage advice? How do you celebrate your anniversaries? Let me know in the comment section and your comment could be chosen as comment of the week! Don't miss next week's etiquette chat where I share my etiquette horror story with you from Geoffrey's. See you then! 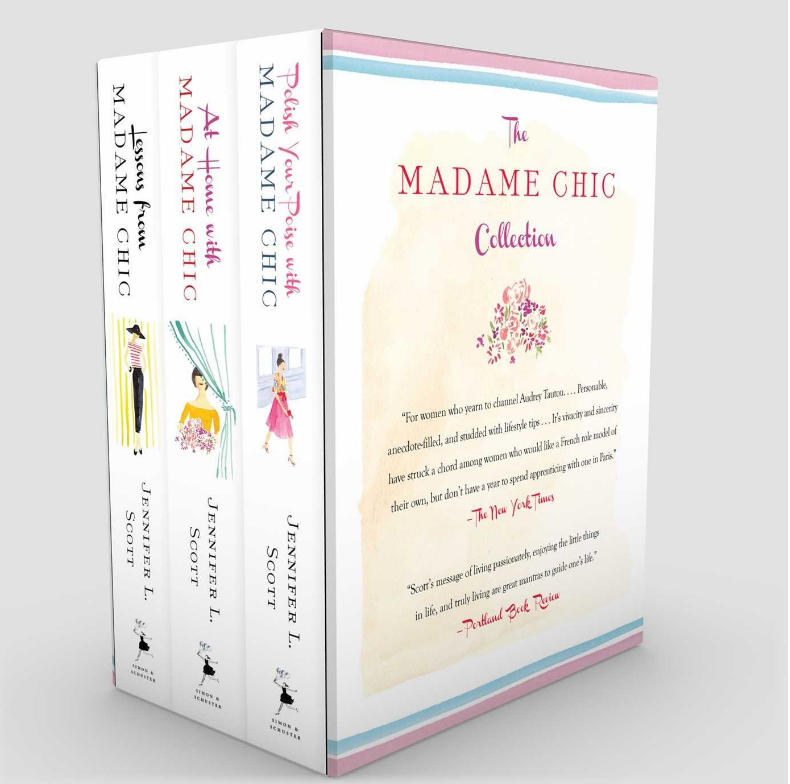 I'm really excited to announce that Simon & Schuster are re-releasing all three Madame Chic books in a gorgeous boxed set, called The Madame Chic Collection. The set makes a beautiful gift, and goes on sale, November 1st, 2016. Pre-orders are available now from Amazon and Barnes & Noble. What a fun video I have for you today... a before and after of our master bedroom wallpaper renovation. I have always longed for wallpaper in our master bedroom, but we never wallpapered our old house for various reasons. Now that we are in a new space, I felt it time (and thankfully my husband agreed!) that we add a touch of interest to the interior design of our bedroom with wallpaper. Our entire home is painted in the color "Silver Tradition" by Behr. This is how the house came. 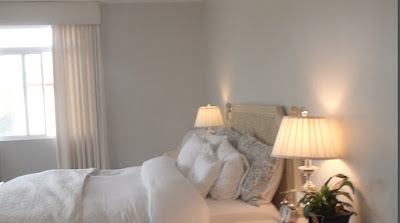 It's a lovely grey color, but it was a bit gloomy for the master bedroom. When we first moved into the house, we installed cream curtains with the plan to put up wallpaper in the future. 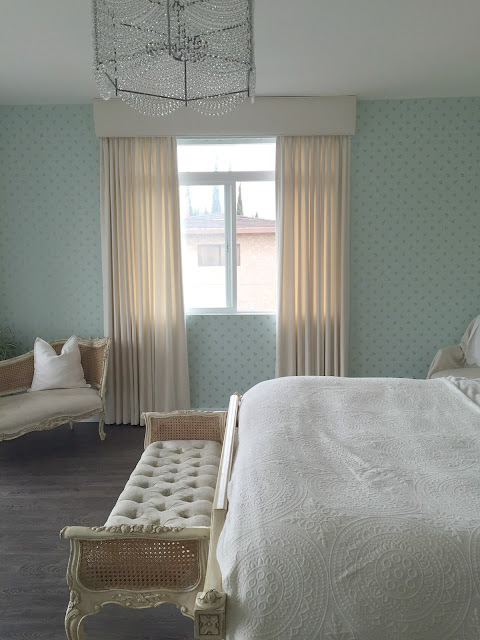 Cream is the color of our bedroom furniture so we felt with the neutrality of the furniture and the curtains, we could choose a colored wallpaper that would go nicely in the room. It was peaceful and serene, but a bit bland and gloomy as well. The wallpaper is by Thibaut, from their Richmond collection. The shade is Cotswold Aqua. Thank you to Wallpaper City and Flooring in Santa Monica and Sylvan & Phillips for doing our curtains. We like to support local, small businesses and both of these companies did a stellar job. This weekend my husband and I celebrated our 10th wedding anniversary. It was such a lovely day in Malibu! 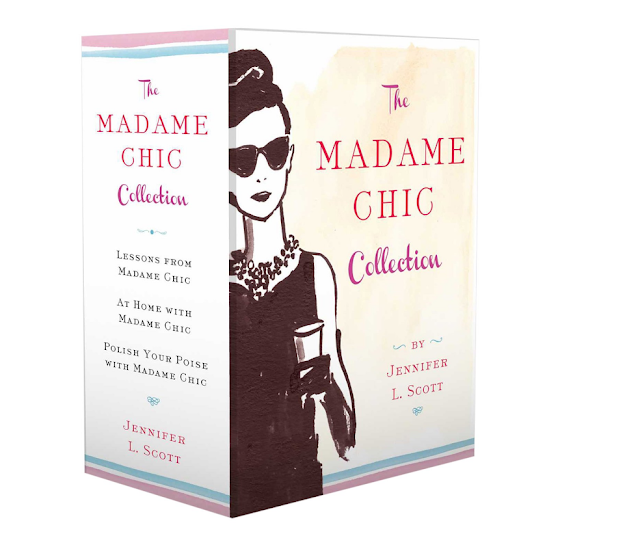 Thank you to Life with Dee for recommending the Madame Chic books as resources to create a beautiful life. Photographer Erin Ammons lists Lessons from Madame Chic as one of her current favorite reads. Thank you, Erin! I must first start off telling you that I am 60 years old, and I have read all of your books! I follow The Daily Connoisseur and I have to tell you, I have learned so much! I find your simple, subtle message appealing. I have made positive changes in my life because of your advice, and I say, you CAN teach an old dog new tricks! I think your words encompass multi-generations. It's a way of life we have abandoned since the '60's that I am glad to see coming back. All this to say, thank you, thank you, my dear. You are a blessing! I bet you never imagined that 6 months in France would have such a far-reaching effect! Dear Janet, I loved your letter! 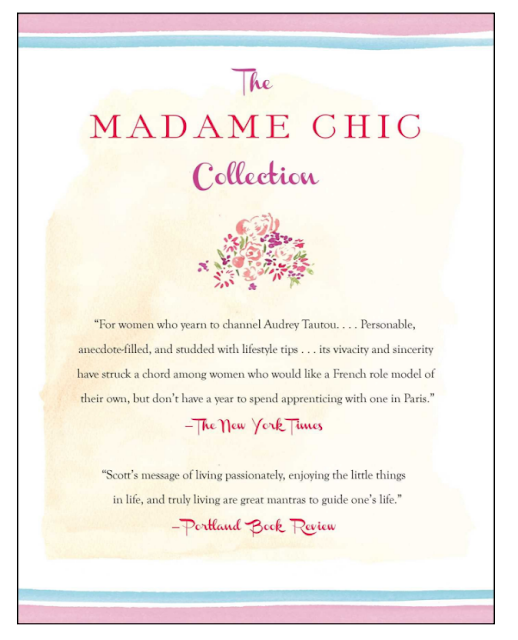 Madame Chic has such a universal appeal and can help people of all ages. I am so pleased that the principles found in my books are enriching your life on the farm! Thank you for writing to me and sharing your testimony. Dear Katherine, Thank you for your lovely comment. It is so important to be present with what is "right now" as you put it. We tend to say "one day" I'll live a certain way, when the reality is we can make those changes right now. Thank you for your lovely reminder. I love to hear from you! You can always leave me a comment on the blog or send me a letter via email on my author website. Your comment could be chosen as comment of the week! To see part one of this blogpost, click here. Regarding last week's post, please note: before trying a new drink (such as the Teeccino Herbal Coffees mentioned in last week's video), or trying a new prenatal vitamin after birth, always consult your doctor first. It is very important that you have your doctor's OK before making changes to your diet and plan. Fifties Fabulous Fun shares a great review of both Lessons from Madame Chic and At Home With Madame Chic on her blog. I love to see pictures of the Madame Chic books around the world! You can send them to me on social media using either the hashtag #MADAMECHIC or #jenniferlscott. Thank you to Kata Kvapilova for sharing this picture of Polish Your Poise with Madame Chic from a bookstore in Prague. Thank you, ladies, for your lovely pictures! Nina M writes: Hi Jennifer, I wanted to tell you that after seeing your TED Talk a few weeks ago, I got rid of 70% of my "impulse buys" and "on sale" clothes and picked out the jewels to wear each day. You are correct about how good it feels outside as well as on the inside to wear my best each day. The tidy organization of my closet also has changed the way my mind is organized! I try so hard now to eliminate the "junk" from my life: food, profane music, and Facebook perusing. Thank you for the inspiration and for the passion to do what you do! You have made a difference for me. Dear Nina, thank you for your email. I am thrilled to hear that the ten-item wardrobe was a catalyst for you to make other meaningful changes in your life. I am sharing your testimonial with the hopes of inspiring others to do the same. I'm coming in a bit late with this discussion but I would be very interested to hear your view point on what happened to me last night. My husband and I were invited to a barbecue at our son's house. After a while my son and his dad were chatting so I went to talk to my, soon to be, daughter in law. She was texting (I think) on her phone so I didn't say too much but sat for a while in, I thought, companionable silence. After a while I tried to engage her in conversation - she answered me but continued to focus on her phone. I tried again but whatever she was doing on her phone was more interesting to her, so I sat for a little while and then moved away to talk to our son. It actually made me feel that I was not worth talking to. She tends not to answer texts or to say thank you for presents either and this makes me wonder if she disliked me - yet at other times she is friendly. I continue to be polite and gave her a hug before we left but this is another consequence of bad manners - it causes those on the receiving end to feel, at best uncomfortable, and at worst, wondering if they have done something wrong. Dear Lily, thank you for sharing your experience with us. Unless your son's fiance was dealing with an urgent or time-sensitive situation, I do believe it is impolite to ignore someone at a party (especially your future mother-in-law) and pay attention to your phone. If she was dealing with something that couldn't wait, a simple, "My apologies, I just need to send this message," said to you would be fine. It could be that your son's fiance is timid around other people or has social anxiety. Perhaps none of these are true and she is one of the many people who don't think anything is "off" about that kind of behavior. Either way, you must not take it personally. You can be a good role model for her by being the picture of poise whenever you see her. She might not have many female role models in her life and you could be an important one for her. Thanks again for sharing your story. I hope you had a wonderful mother's day weekend! This week, I have two videos for you discussing pregnancy. In today's video, I talk about my own journey with this third pregnancy (I am currently 34 weeks pregnant), with everything from weight gain, to hair loss, to skincare and beauty. I also recommend my favorite non-caffeinated drinks and show you some presentable pajamas. On Thursday, be sure to check back with the blog, because I will answer your motherhood and pregnancy related Facebook questions. 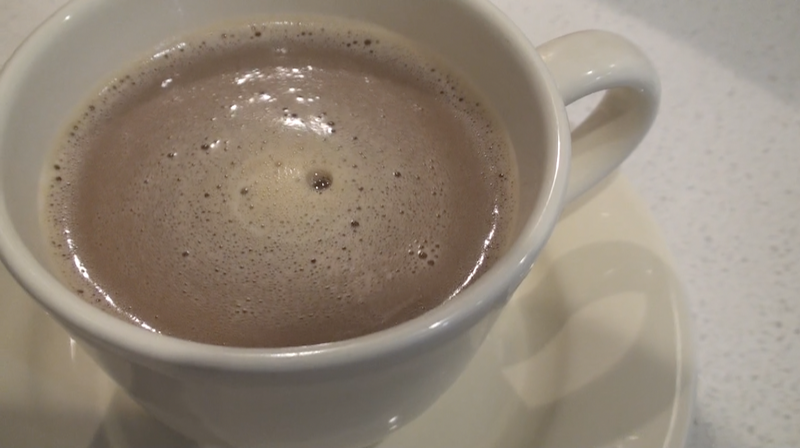 "Is Teeccino safe for pregnant women and nursing mothers? YES! All the herbs in Teeccino have been in the human diet for thousands of years. There are no stimulants or drugs like caffeine that could cause uterine contractions or hyperactivity by the infant. Although there is misinformation repeated on some internet sites about chicory being contraindicated during pregnancy, there is no scientific substantiation of this claim. On the contrary, there is the long history of pregnant women drinking chicory-based beverages with no problems whatsoever. Teeccino is nutritious for both mom and baby. Many health care practitioners, midwives and doctors recommend Teeccino to their pregnant patients. 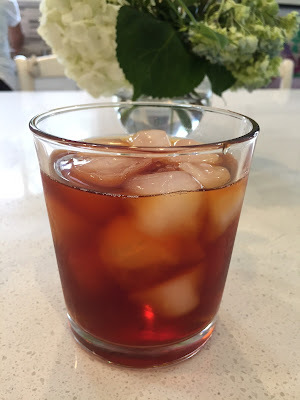 Learn more about the effects of coffee and caffeine on women’s health." To be safe, be sure to ask your doctor if chicory tea is safe for you to take during pregnancy. 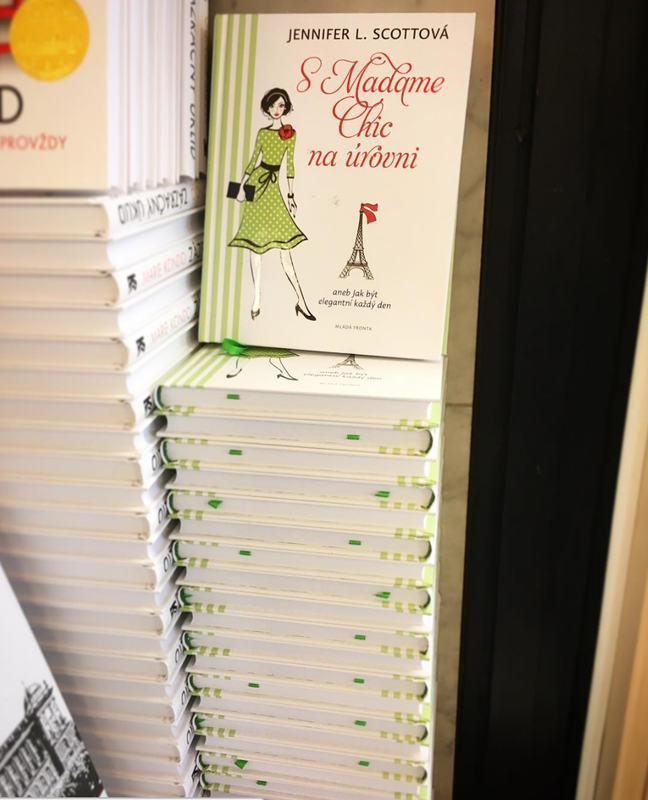 Honey We're Home recommends Lessons from Madame Chic and At Home With Madame Chic for great French reads. Usually when kids are coloring or writing on paper they are very reachable, as someone else stated. On the screen, whether they are playing or socializing, they are usually unreachable to the people present. I have read several articles over the last few years about the real, physiological addiction and the brain chemistry concerning electronic games and computers. The symptoms are similar to that of drug addiction where taking the 'drug' away causes withdrawal, denial, guilt and physical illness! It's worse for kids. There are programs and safehouse-type institutions to help addicts! We keep our kids screen time down to once a week and are very choosy about the games. I have seen the addiction begin first hand in one of my children as his behavior dramatically changed. This is a serious issue. I don't think anyone here would judge you for reading on Kindle, checking email, playing a game or using social media, just as we would not judge if you were reading a book. It's more about when you do these things and whether it's keeping you from living life or spending time with humans. If you wouldn't pull out a novel on a date, you shouldn't pull out a kindle book or other screen activity. AquinoFamily99, I couldn't have put it better myself. I really loved your input on both of the issues you touched upon. I have noticed with my own children that when it's time to put the screen away, they develop irrational behavior (tantrums, anger, defiance), where as with a simpler project such as a coloring book and crayons, they do not have such swinging emotions. Because of this, we seriously limit screen time in our house and, like you, are very picky about what they do play with. Thanks for your wonderful comment! And thank you to everyone else you weighed in on this discussion. It's worth checking out the comment section on both the blog and YouTube channel to see what your other connoisseurs are saying about this subject. I will do a part two on this topic one day in the near future. This week, I would love to know your thoughts on the pregnancy chat. Do you have any stories or recommendations for us? Have you tried any of the herbal coffees or teas I recommend? Also, what do you think about AquinoFamily99's comment on screen time? Let us know, and your comment could be chosen as comment of the week on the blog. See you on Thursday for part two of the pregnancy chat videos. FTC: All items mentioned in this video were purchased by me. All opinions are my own. We have all seen them. They are everywhere. You can't escape them. People staring at their smartphones like zombies. In restaurants, walking the dog, in the middle of a movie, while driving, waiting in line, in class, outside of class, during the ballet, during intermission, at the coffee shop, while watching TV, while out with their kids, at the park, at the school, during meetings. This new dependence on the screen is changing the way we live and not necessarily for the better. The addiction to the screen and its use as a crutch in social situations brings people further away from poise. In today's discussion we are broaching the topic of smartphone etiquette and screen addiction. I'm sure you've noticed over the past few years that people seem to depend more and more on their smartphone to get through the day. What ever did we do before they were invented? I, myself, struggle with an addiction to checking my phone and often have to remind myself to not become one of those screen zombies. In this week's video a wide range of topics is discussed: everything from Patti LuPone taking a cellphone out of an audience member's hand during her broadway show, to screens in restaurants, to that burning desire we can't seem to shake to look at our phone when met with a moment of downtime. This discussion is wide and varied. Be sure not to miss it! The Polish edition of Polish Your Poise with Madame Chic, Szkoła wdzięku Madame Chic, will be released on July 7th from Wydawnictwo Literackie. Check out the wonderful video review of all three Madame Chic books from YouTuber, Tina Bietler, in her video titled, Books that Will Change Your Life. I just wanted to let you know how your books and blog inspired me to change my life. I have been following you for around two years and I have always thought "She is totally right, looking presentable always is a good thing to do" but I never followed this principle. I was like: "yeah, that's a great idea but not for me, too much fuss". But then something just snapped in me, without any particular trigger and I thought that maybe I should try to follow your lifestyle advice. One day, instead of staying all day in my work out clothes, I made a make up and dressed nicely (it wasn't difficult for me as I had narrowed down my wardrobe to capsule version earlier thanks to your books). And you know what - it was liberating. Since then I've been doing this every day and not only this. I also keep my home clean on every day basis, eat proper meals with my family etc. It's such a life-changer! I bet there are more readers like I used to be - thinking your ideas are perfect but not following them. I really advise everyone to give it a try like for a week or so. Dear Ania, Thank you for sharing your story! Many people think the Madame Chic advice is good, but not for them. I love how you encourage other women to try it out. What is the worst thing that can happen? You will discover things about yourself you never knew before. Every week I receive at least one question asking about the music in my YouTube videos. The music is listed in the info box below the video. Because of YouTube rules and regulations, I am required to use copyright-free, royalty-free music. This week, I would love to know... what do you have to say about this week's cellphone etiquette and screen addiction discussion? Do you have any stories or insights to share with us? How do you handle it in your family? Leave a comment below and your comment could be chosen as comment of the week on the blog. See you soon!